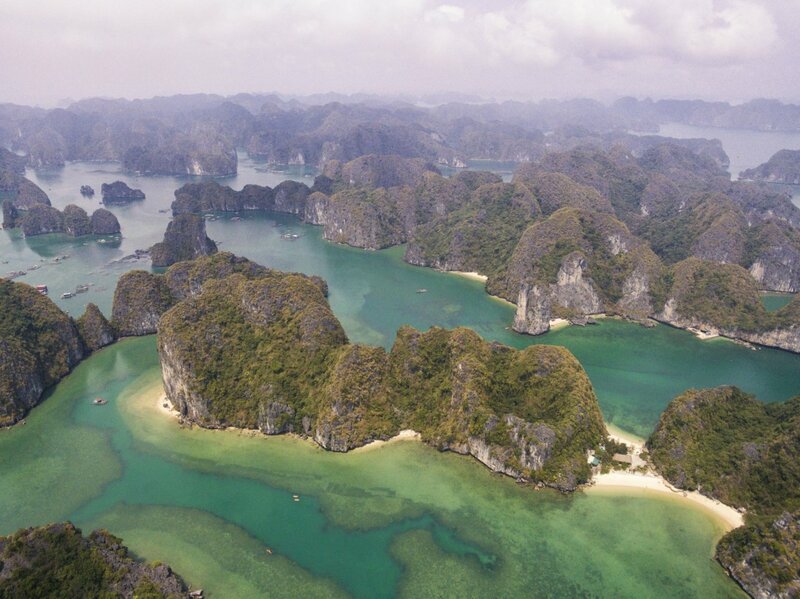 See the wonders of both Vietnam and Cambodia on an exhilarating 21 day trip! 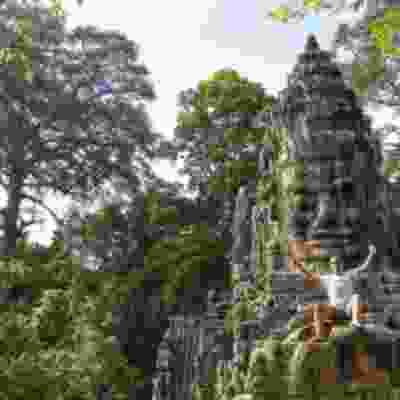 Uncover the excitement of Hanoi, walk over shimmering sands, stay on your very own private island, learn how to cook traditional cuisine, snorkel with tropical fish, party the nights away and visit the iconic Angkor Wat temple! 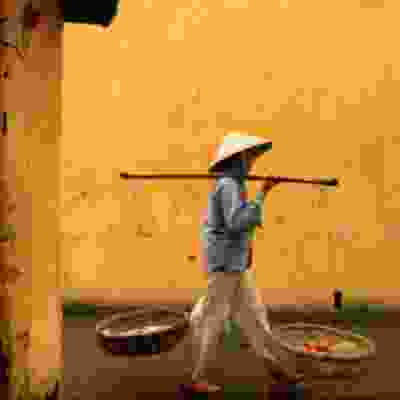 Day 1: Arrive in Hanoi Land into Hanoi and be transferred to your hostel. Meet your group and trip leader for a welcome meeting this evening. 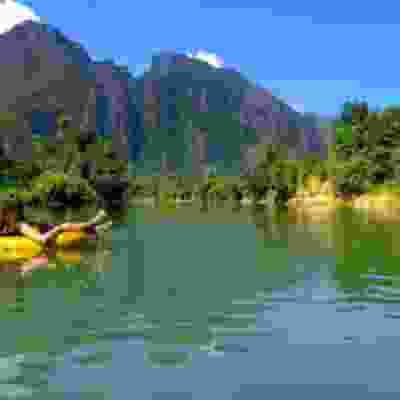 Land into Hanoi and be transferred to your hostel. Meet your group and trip leader for a welcome meeting this evening. 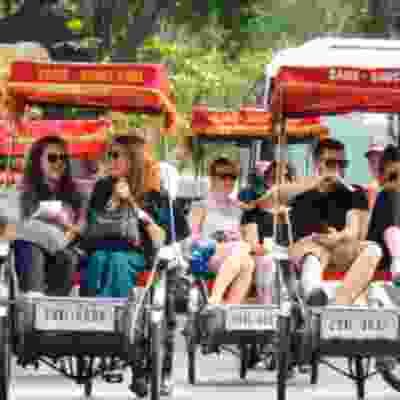 Day 2: Hanoi city tour Explore the hustle and bustle of Hanoi on a walking and rickshaw tour. 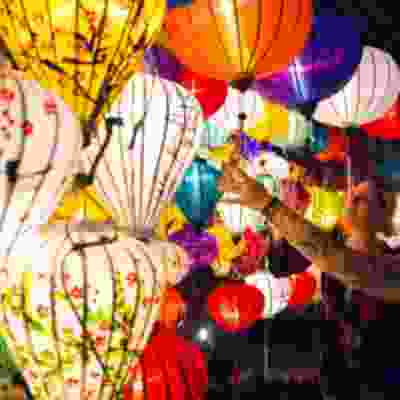 Eat Vietnamese street food then discover the city's best nightlife hotspots! 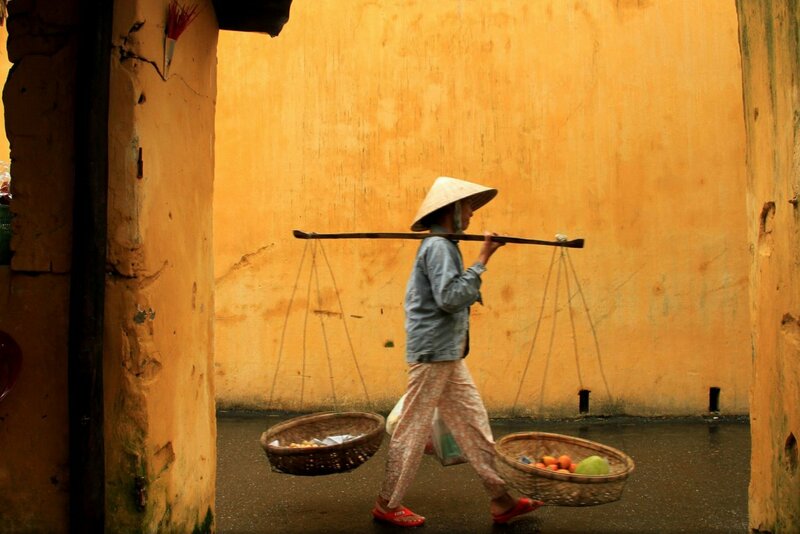 Explore the hustle and bustle of Hanoi on a walking and rickshaw tour. 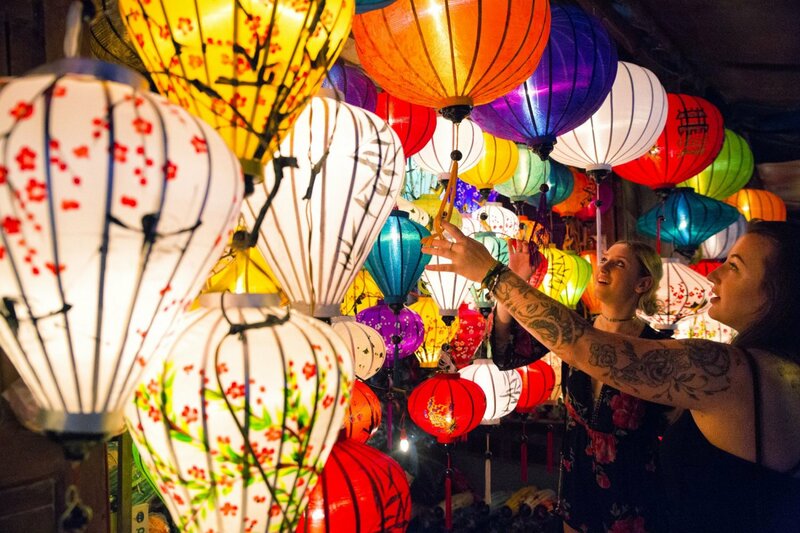 Eat Vietnamese street food then discover the city's best nightlife hotspots! 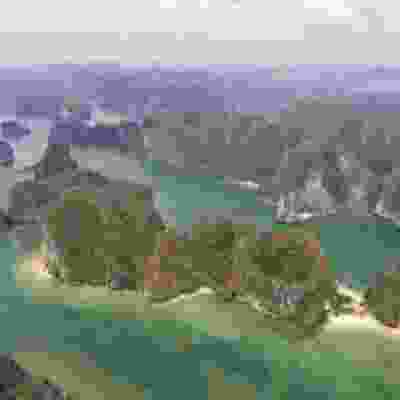 Days 3 & 4: Ha Long Bay Head out to beautiful Ha Long Bay on a 2 night trip on a junk boat! See spectacular rainforests and chill out on your own private island. 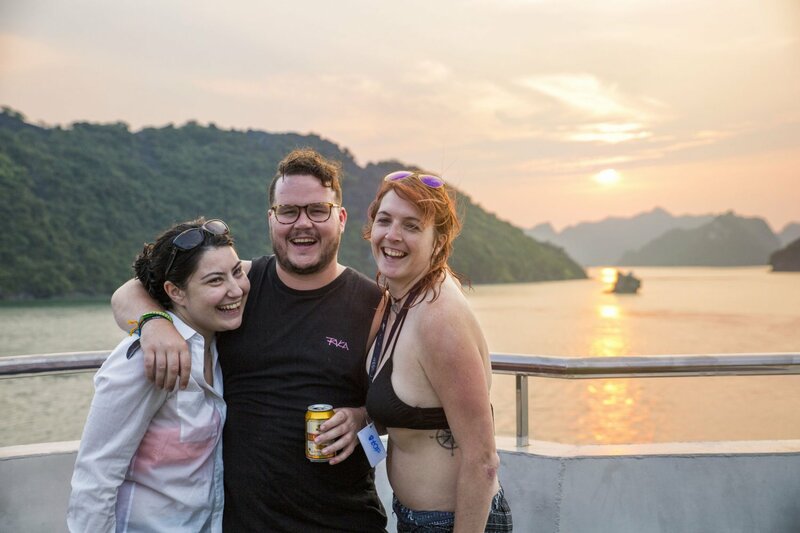 Head out to beautiful Ha Long Bay on a 2 night trip on a junk boat! See spectacular rainforests and chill out on your own private island. 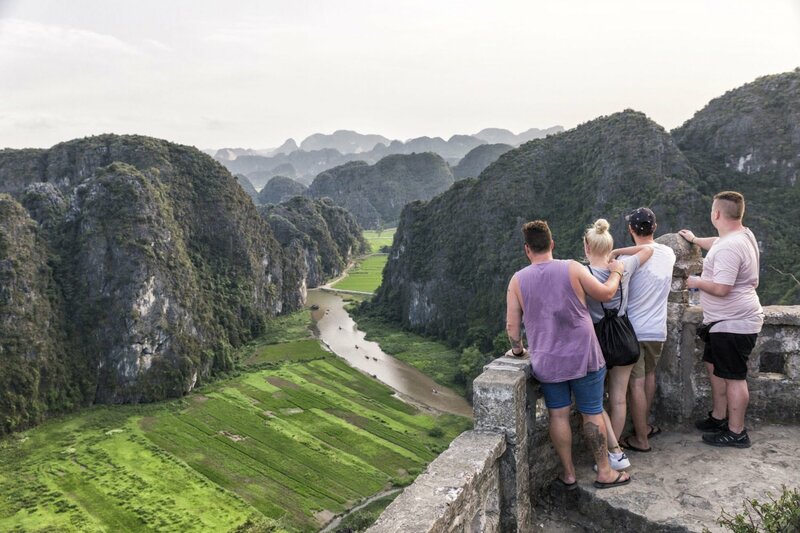 Days 5 & 6: Ninh Binh Journey onwards to the hidden gem of Ninh Binh, surrounded by breathtaking mountains and rice paddies. 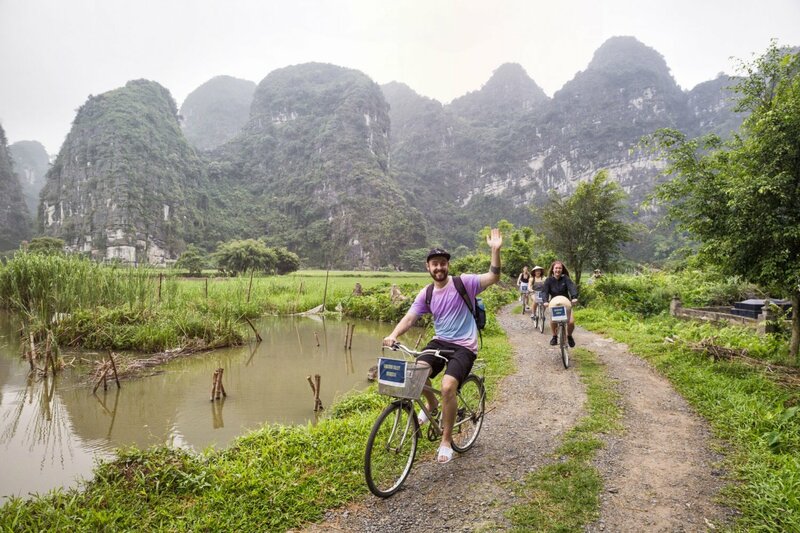 Sleep at a local homestay and trek the 450 steps of the famous Dragon Mountain Viewpoint! 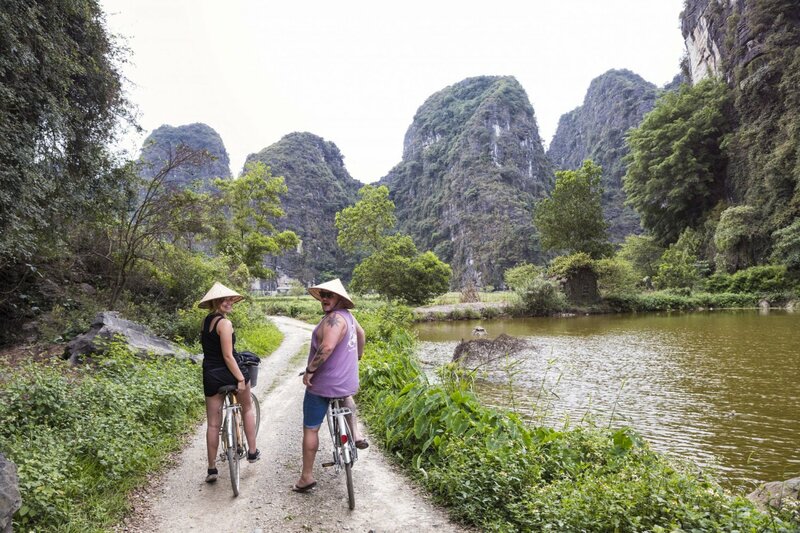 Journey onwards to the hidden gem of Ninh Binh, surrounded by breathtaking mountains and rice paddies. 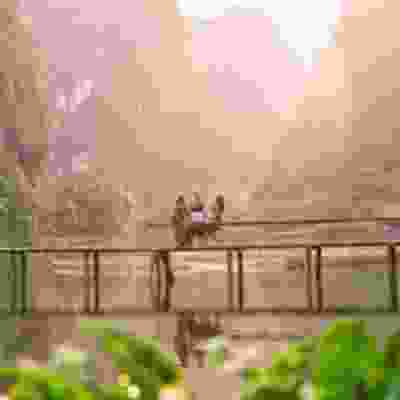 Sleep at a local homestay and trek the 450 steps of the famous Dragon Mountain Viewpoint! 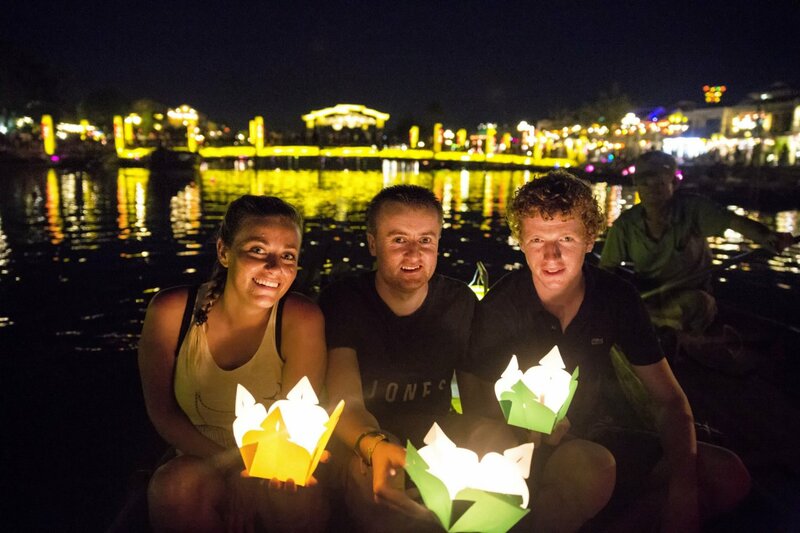 Days 7 & 8: Hoi An Arrive into Hoi An and shop til you drop before enjoying the buzz of the nightlife with your new friends! Learn how to prepare delicious Vietnamese cuisine the next day at a fun cooking class. 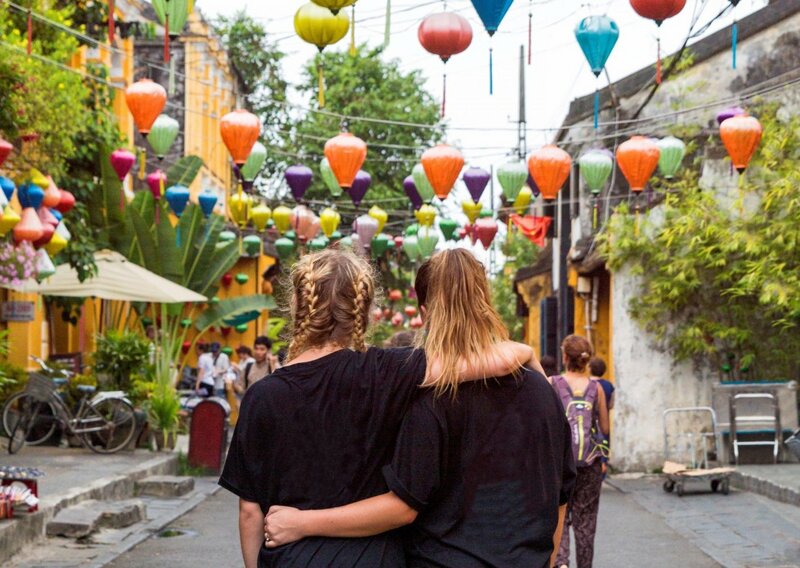 Arrive into Hoi An and shop til you drop before enjoying the buzz of the nightlife with your new friends! Learn how to prepare delicious Vietnamese cuisine the next day at a fun cooking class. Day 9: Ho Chi Minh Catch an onwards flight to Ho Chi Minh city and arrive in the afternoon. Get lost in the excitement of the city or relax and unwind for the rest of the day. 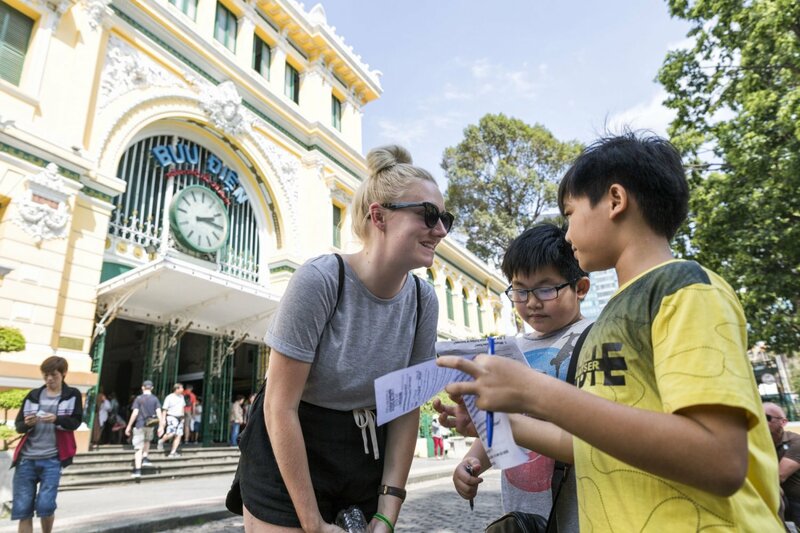 Catch an onwards flight to Ho Chi Minh city and arrive in the afternoon. Get lost in the excitement of the city or relax and unwind for the rest of the day. Day 10: Mekong Delta Watch locals from a traditional canoe on a maze of waters at the Mekong Delta. See stunning greenery and say hello to all the villagers. 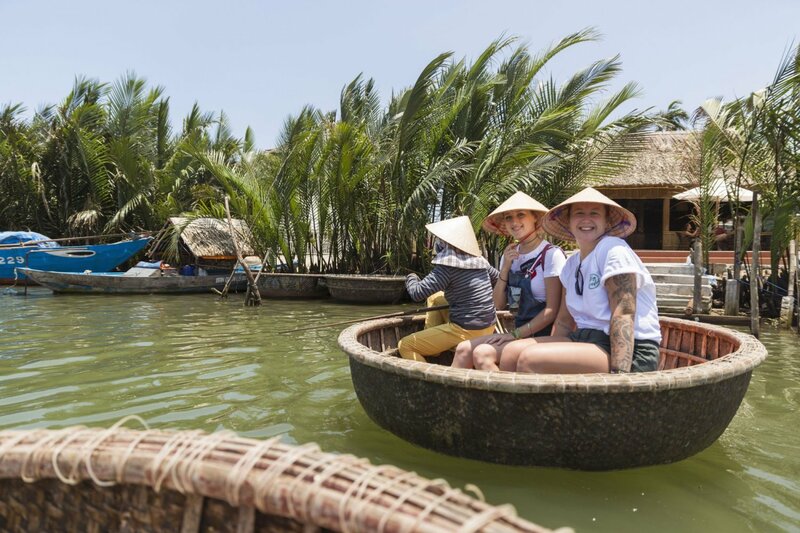 Watch locals from a traditional canoe on a maze of waters at the Mekong Delta. See stunning greenery and say hello to all the villagers. 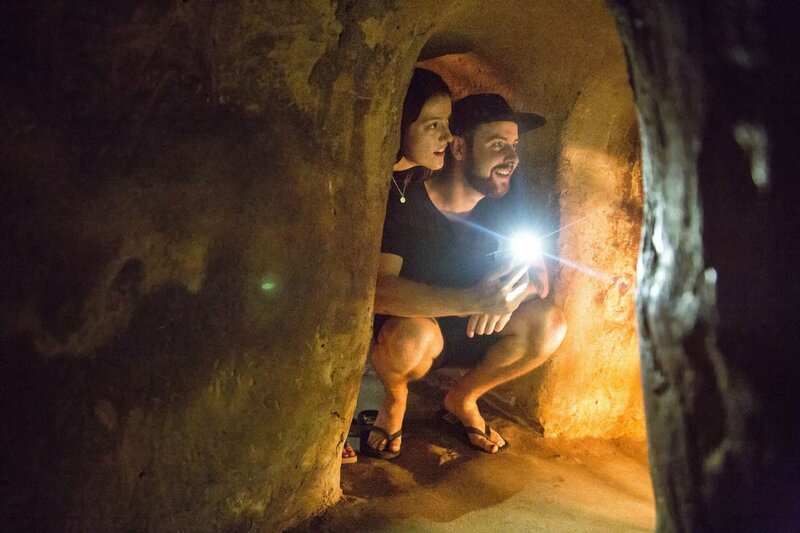 Day 11: Cu Chi Tunnels Witness the living quarters of the guerilla fighters of the Vietnam War as you delve deep into history at the Cu Chi Tunnels. Then head out with your group for dinner and drinks. Witness the living quarters of the guerilla fighters of the Vietnam War as you delve deep into history at the Cu Chi Tunnels. Then head out with your group for dinner and drinks. Day 12: Hello Cambodia! 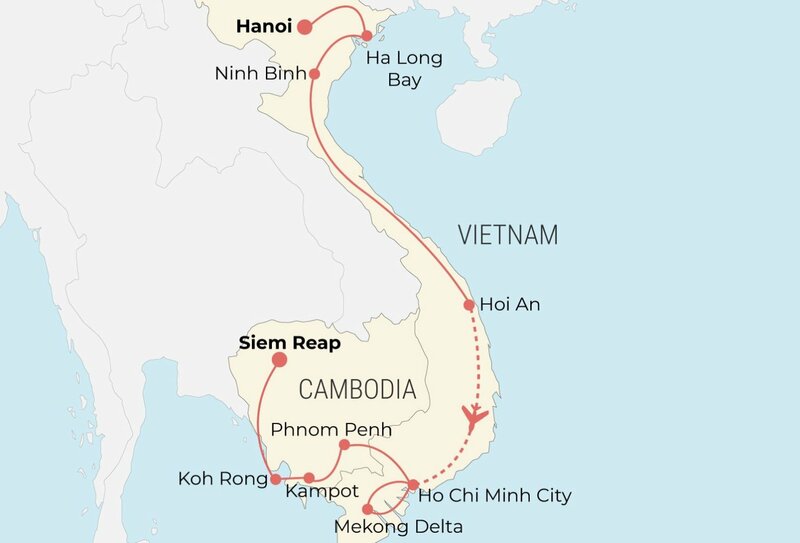 Say goodbye Vietnam, and hello Cambodia as you cross the border. 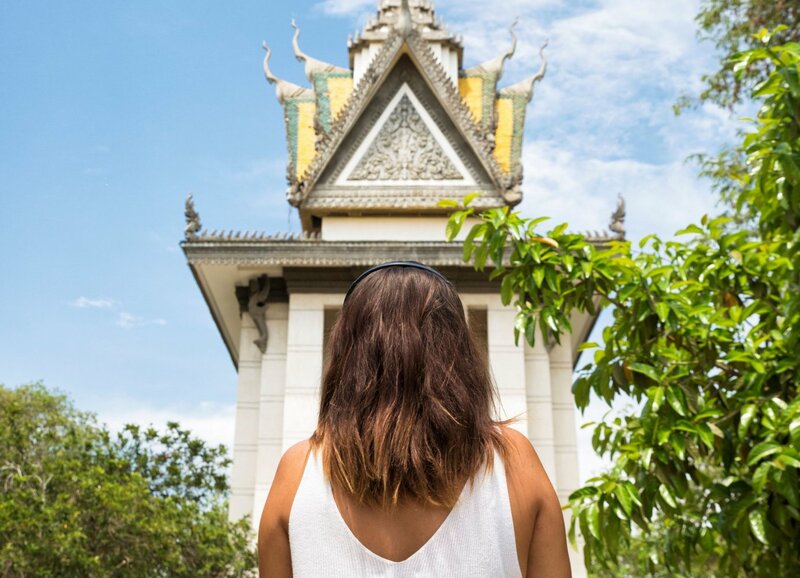 Arrive into the capital city of Phnom Penh and soak up the atmosphere and culture of a new country! 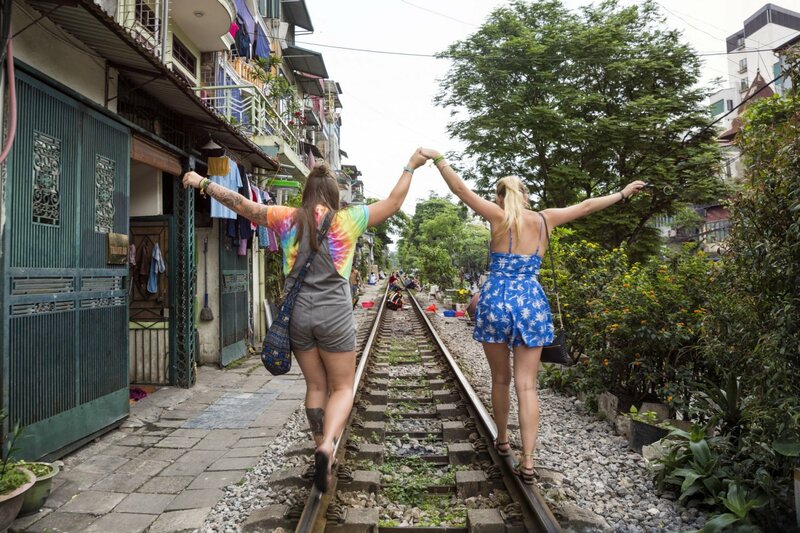 Say goodbye Vietnam, and hello Cambodia as you cross the border. Arrive into the capital city of Phnom Penh and soak up the atmosphere and culture of a new country! Day 13: S21 Prison & Killing Fields Explore the frantic streets of Phnom Penh on a tuk tuk tour. Then stop by the infamous S21 Prison and the original Killing Fields to learn all about its dark history. 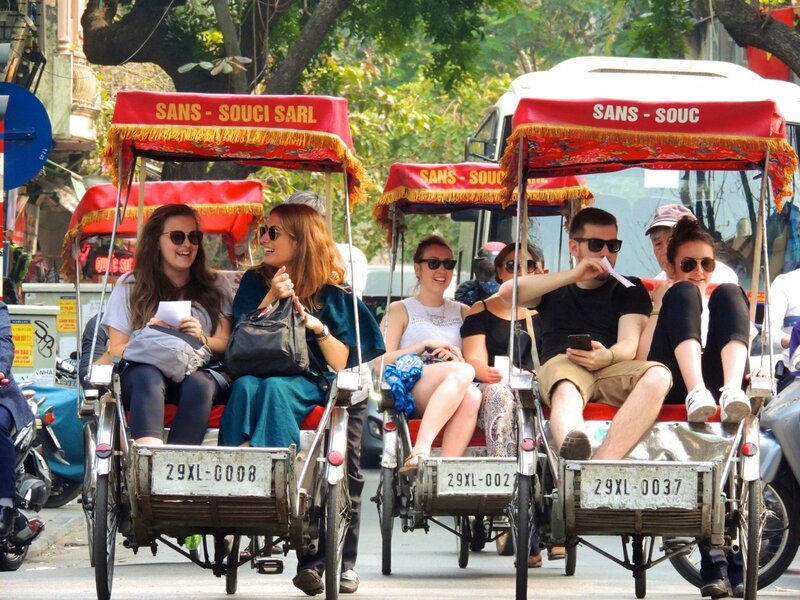 Explore the frantic streets of Phnom Penh on a tuk tuk tour. Then stop by the infamous S21 Prison and the original Killing Fields to learn all about its dark history. 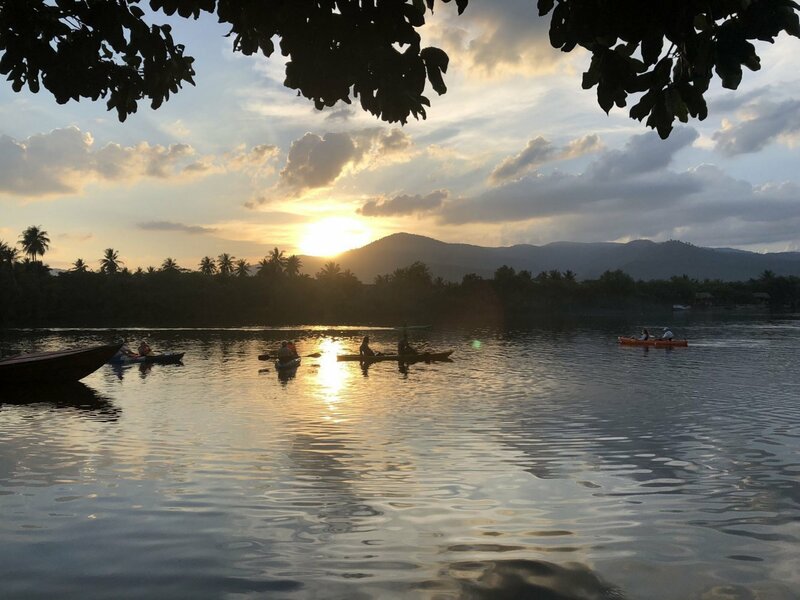 Days 14 & 15: Kampot Escape off the beaten path as you arrive in Kampot. 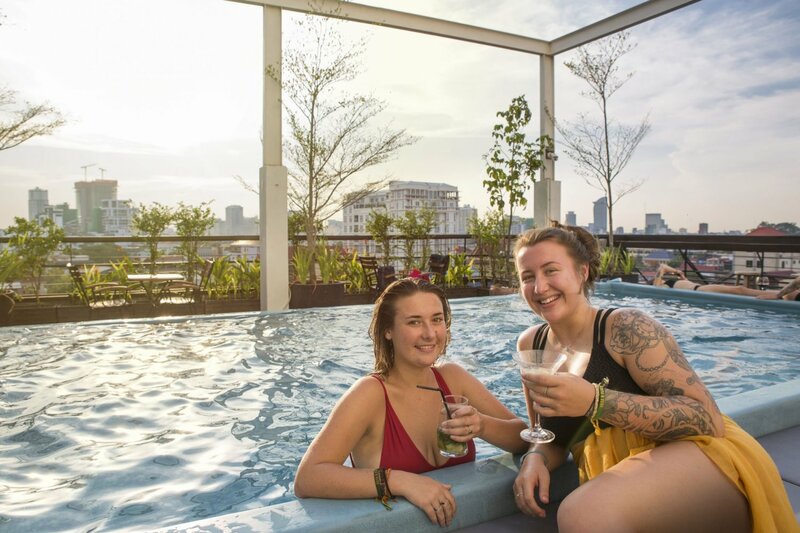 Live like a true local and see extraordinarily shabby French colonial buildings, beautiful rice paddy fields and riversides lined with palm trees. Enjoy a Khmer cooking class and traditional longtail boat trip. 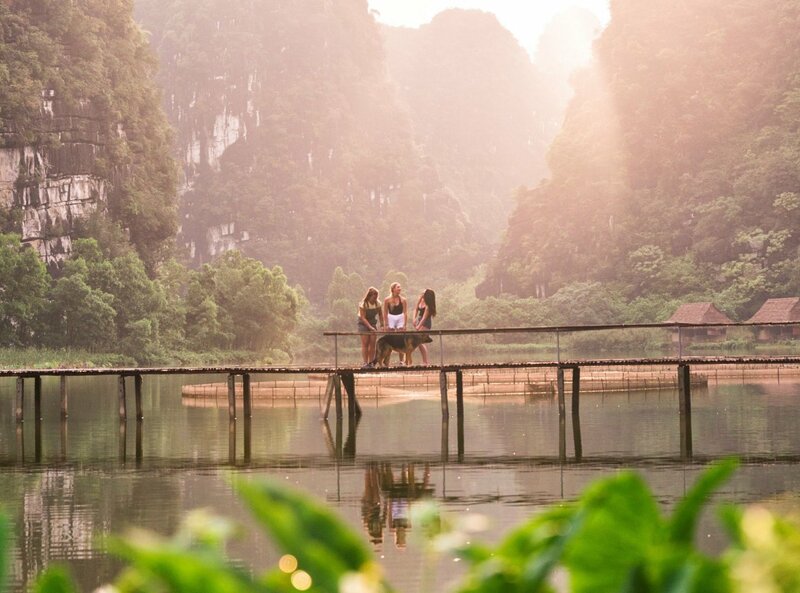 Escape off the beaten path as you arrive in Kampot. 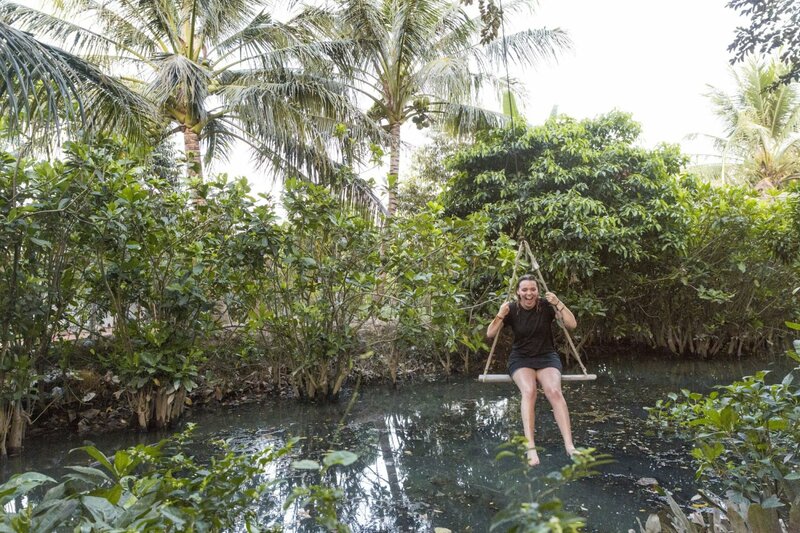 Live like a true local and see extraordinarily shabby French colonial buildings, beautiful rice paddy fields and riversides lined with palm trees. Enjoy a Khmer cooking class and traditional longtail boat trip. 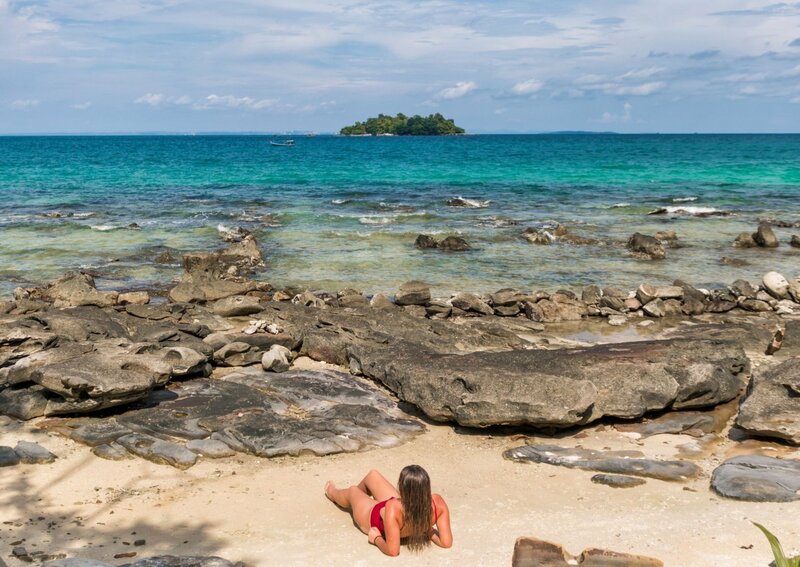 Days 16, 17 & 18: Koh Rong Arrive on the tropical island of Koh Rong, then check into a traditional Khmer style beach bungalow. 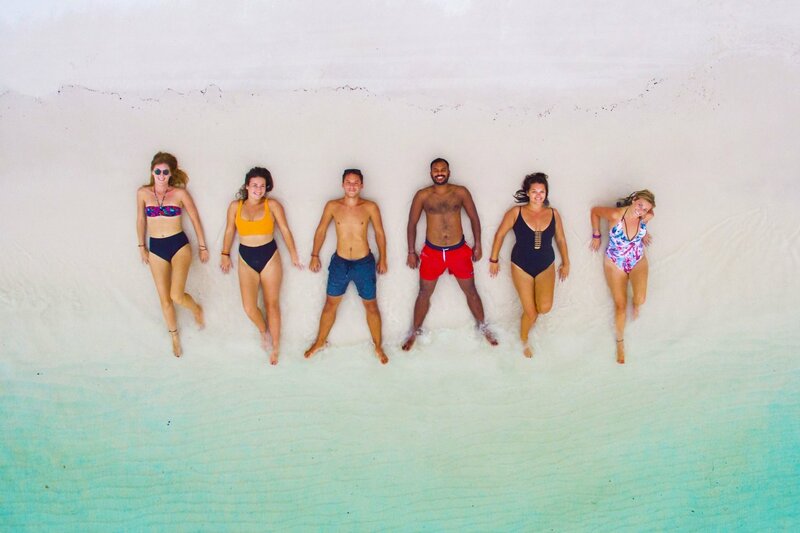 Swim in turquoise waters, have a Khmer massage and get a sun-kissed glow as you soak up the rays of the sun. 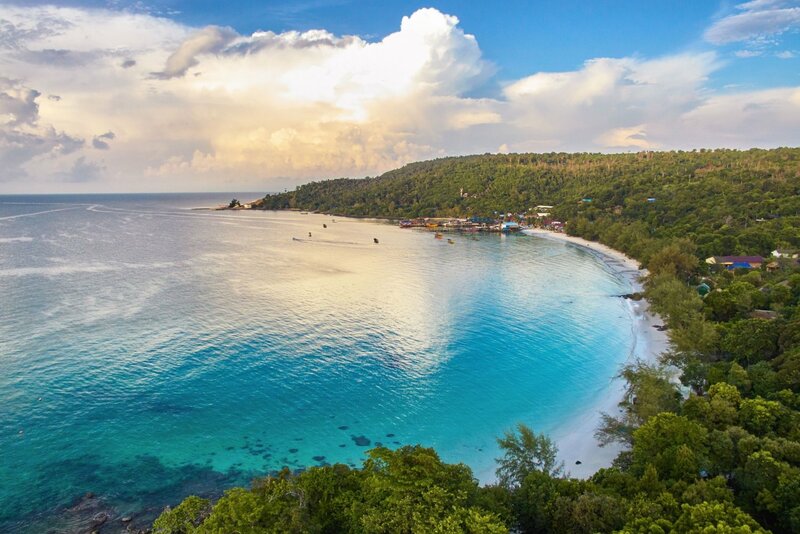 Arrive on the tropical island of Koh Rong, then check into a traditional Khmer style beach bungalow. Swim in turquoise waters, have a Khmer massage and get a sun-kissed glow as you soak up the rays of the sun. 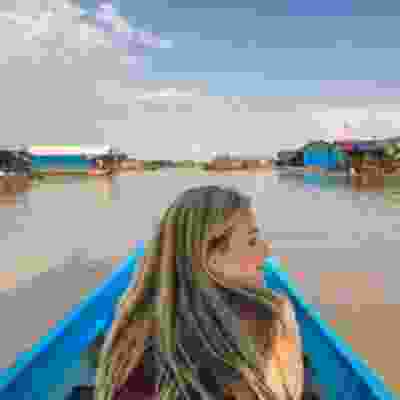 Day 19: Siem Reap Travel out to the rural areas of Siem Reap as you set out to discover fantastic traditional floating villages with lotus flowers, rice fields and lush forests all around. 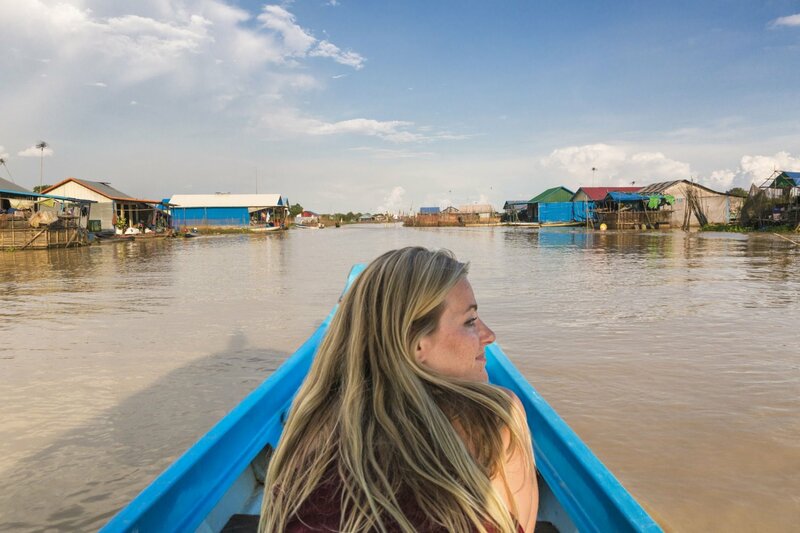 Travel out to the rural areas of Siem Reap as you set out to discover fantastic traditional floating villages with lotus flowers, rice fields and lush forests all around. Day 20: Angkor Wat Catch a breathtaking sunrise before heading out to see the famous Angkor Wat - the largest temple in the world! Visit Ta Prohm where Tomb Raider was filmed and say goodbye to your new travel friends at a farewell dinner. 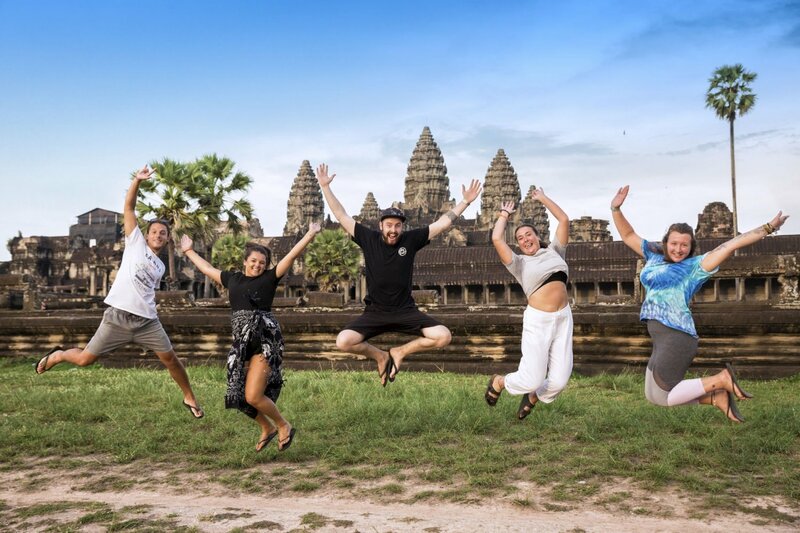 Catch a breathtaking sunrise before heading out to see the famous Angkor Wat - the largest temple in the world! Visit Ta Prohm where Tomb Raider was filmed and say goodbye to your new travel friends at a farewell dinner. 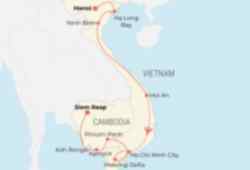 Day 21: Goodbye Vietnam and Cambodia! 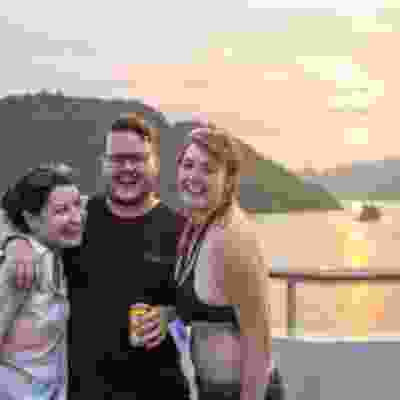 - Bid a sad farewell as your fantastic 21 day adventure of Vietnam and Cambodia comes to an end in Siem Reap. Day 21: Goodbye Vietnam and Cambodia! 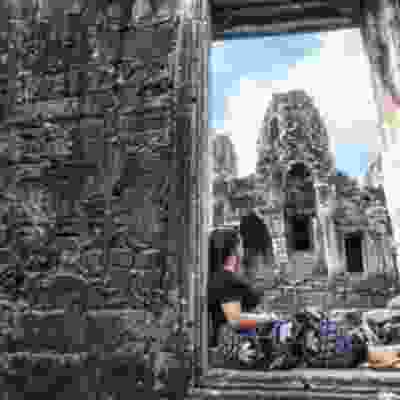 - Bid a sad farewell as your fantastic 21 day adventure of Vietnam and Cambodia comes to an end in Siem Reap. Combination of shared hostel dorms, hotel rooms, guesthouses and homestay accommodation. 1 night on an overnight train in a 4-bed cabin. 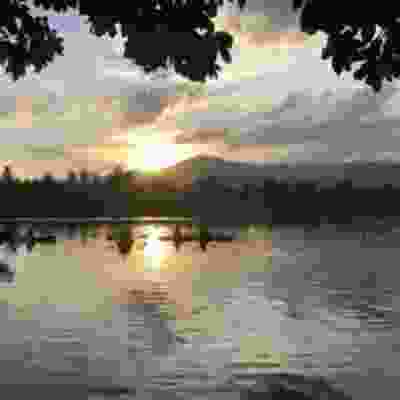 Accommodation will mainly be on a twin-, double- or multi-share basis. 16 breakfasts, 9 lunches and 5 dinners are included on this trip. 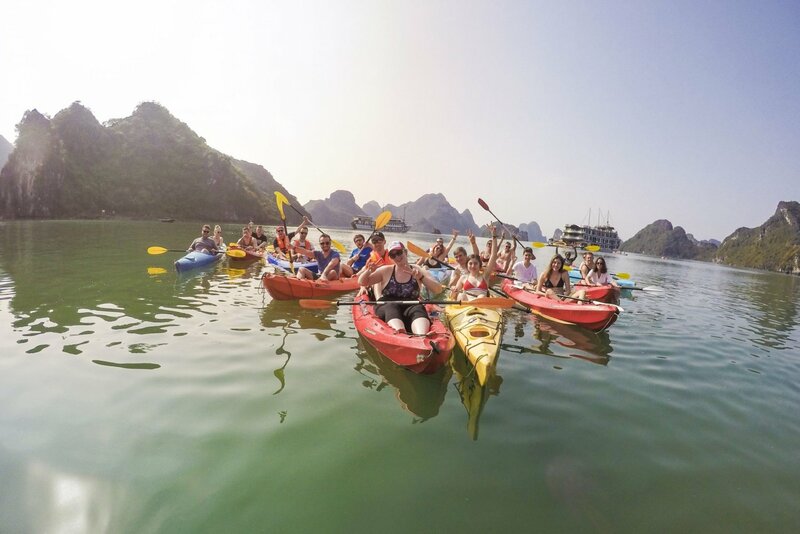 You need to arrive on day 1 into Hanoi, Vietnam at any time where you will meet your group leader and be transferred to your hostel in Hanoi. 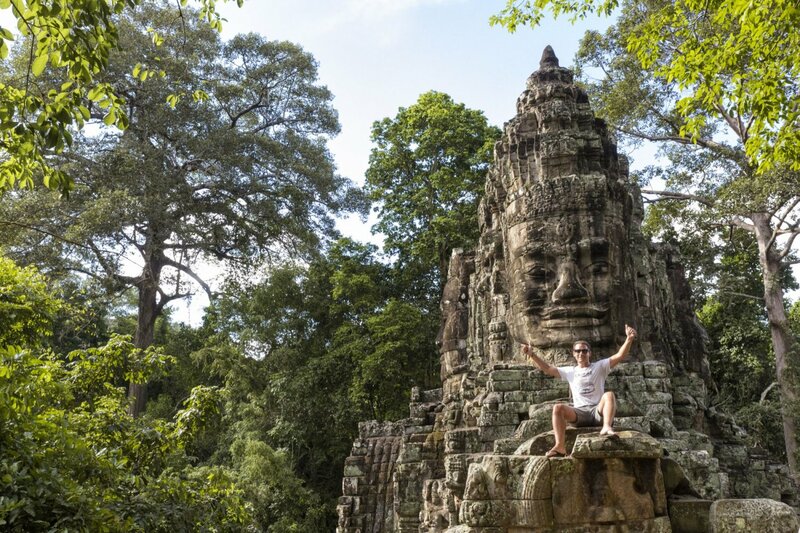 Your trip ends on day 21 in Siem Reap, Cambodia and you can depart at any time.